LROC WAC mosaic of the lunar nearside. For two weeks in mid-December 2010, the LRO spacecraft remained nadir looking (straight down) so that the LROC Wide Angle Camera (WAC) could acquire ~1300 images, allowing the LROC team to construct this spectacular mosaic. 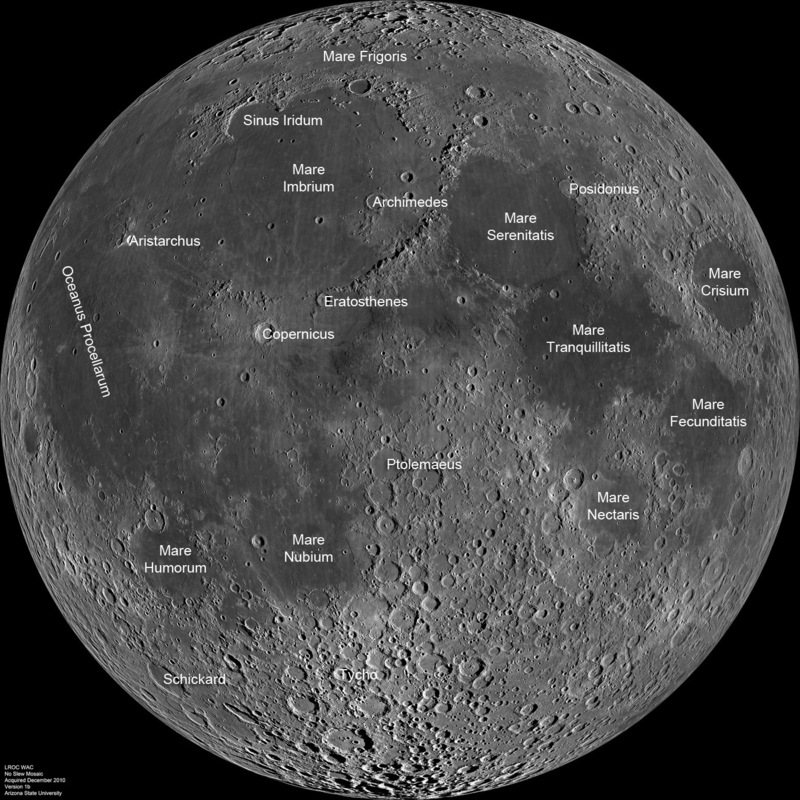 As the Moon rotated under LRO's orbit, the ground track progressed from east to west (right to left in this mosaic), and the incidence angle at the equator increased from 69° to 82° (at noontime the incidence angle is 0°). 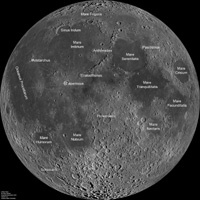 Same WAC mosaic with major mare and craters labeled.